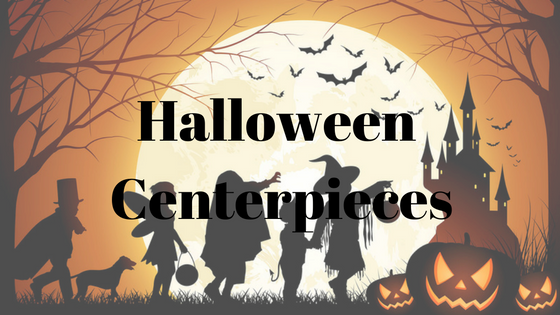 It's another inspiring week for the Halloween Season and I Just can't wait to fill in the little stuff that might be going on through your mind right now. 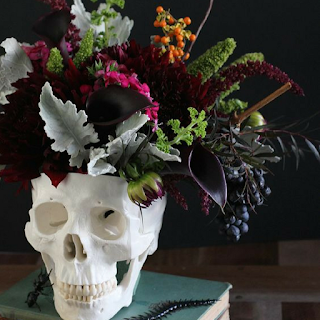 Check these Skull Floral Centerpieces that you made want to add for the last minute, photos taken from pinterest. This glam decor best fits for luxury decor, you see the gold skull complements well with purple and with a mirror detailed frame. Your flowers needs to be simple and monotone just to show emphasis on the skull. 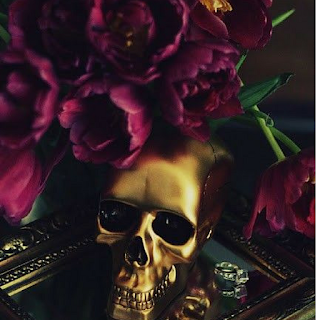 This flower arrangement looks like it's skulls taken from a coffin, with that creepy broken bones in bleached white skull. It kinda looks odd to be but i love how the combination of color dark fresh flowers and was combined to make it both stand out. 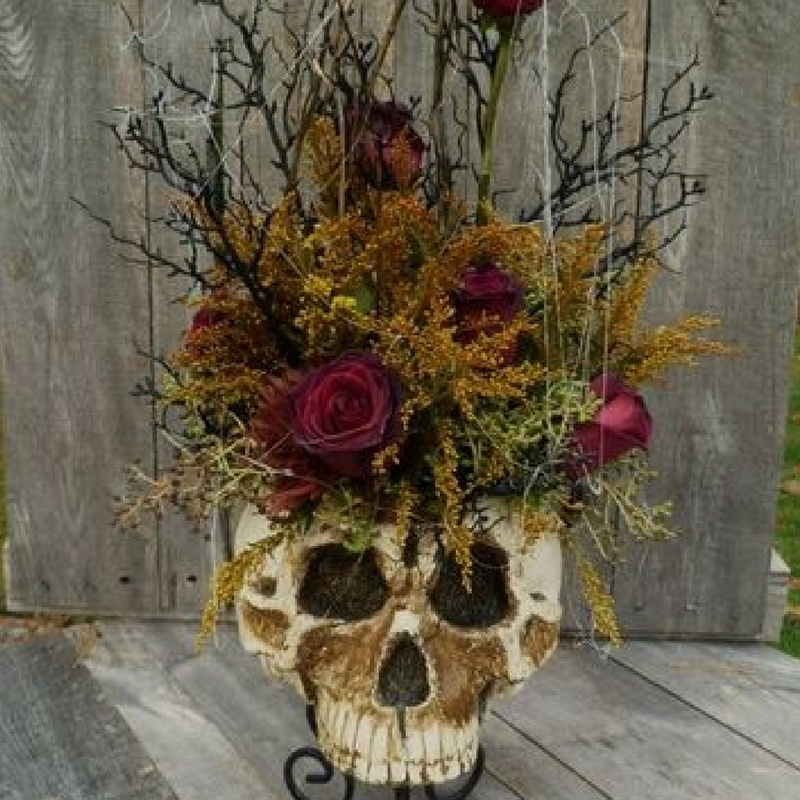 This is like a days old kind of arrangement, more likely of a vintage feel, the use of twigs and minimal flowers with dried foliage plus its cobwebs seems to be make an attraction, I was imagining that the skull an ancient caveman with those big bone structure that looks that needs cleaning. Best fit for a vintage feel Halloween decor. 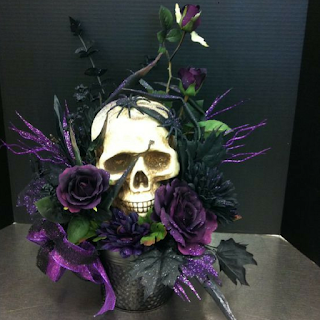 Purple is the color of royalty and death and this grabs attention to both, it looks glam and bold. 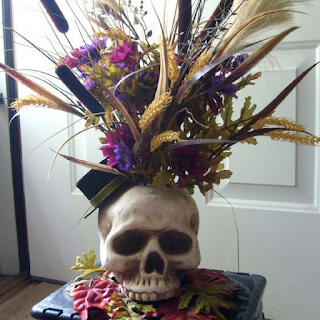 This arrangement reminds me of a Carnival Theme that I once collaborated for an event, It's hat made the statement that mixes both the skull accessories and its flower arrangement.